Any pregnancy is a steep learning curve, whether it's your first or your fifth; each experience is different, and you approach each pregnancy as a different person, with a different set of circumstances, different past experiences, and different ideas about how you expect or want things to go. In my last pregnancy I did a fantastic job of denying that I was pregnant entirely, I carried on exactly as normal right up until the end and didn't really engage in a lot of pregnancy related stuff. This time, my situation is different, I am different, and I've thrown myself head first in to my pregnancy, and have adored every minute. I learned a lot last time that was relevant to me, then, and my pregnancy at that time, but I've learned a number of very different lessons this time. As I near 39 weeks, I thought now was a good time to share just a few of these. Everyone needs a chiropractor - I went in to this pregnancy with really bad (undiagnosed) pelvis alignment issues. Basically, I had an unbelievably wonky pelvis, although I was largely unaware and had been for an estimated five years. Left to my own devices, I would have developed horrific pelvic pain in this pregnancy, and I began to suffer from horrible sciatica symptoms early on. After a few sessions with a recommended family chiropractor, I've been able to enjoy the rest of my pregnancy without any pelvic discomfort - and what's more, this will help me to birth my baby, as my pelvis will no long be a complete obstacle course! Chiropractic treatment in pregnancy isn't only a great solution for sciatica and pelvic girdle pain, but can also help with back ache, sore ribs caused by high positioned babies, fatigue, recurring headaches, nausea, and is one of the most effective and safest methods of turning a breech or transverse baby. I've also learned a lot about the benefits of chiropractic treatment for newborn babies, and Baby will be visiting my chiropractor within a few days of birth. Natal hypnotherapy could help everyone - I'm planning to use natal hypnotherapy (or "hypnobirthing") as a means of pain management in labour, but it isn't for everyone. However, getting the mind itself under control, addressing any fears and anxiety which might lead to a difficult labour or birth, and effectively re-programming the brain for pregnancy and childbirth, could make a huge difference to the experience of almost every single pregnant couple, and I'm gutted I didn't know more about it last time. Whether you're interested in actually using hypnobirthing during labour or not, Natal Hypnotherapy offer a range of pregnancy relaxation CD's and birth preparation CD's (also available as downloads) which can help to prepare any Mother mentally for giving birth to her baby. They also provide dedicated CDs and downloads for those having more than one baby, those having a planned C-Section, those giving birth in a hospital, those planning a homebirth, and those preparing for a VBAC (vaginal birth after caesarean). I'm so bored of listening to myself recommend these CD's and downloads to everyone that I had to include it here. Being calm and relaxed and feeling in control when you go in to labour will significantly reduce your likelihood of having an assisted delivery, will limit the amount of pain relief you're likely to use, will reduce your likelihood of perineal tearing or needing an episiotomy which will lead to stitching, and will also make it easier to bond with your newborn - who wouldn't want that? Find out more here. The physical symptoms of each pregnancy really are different - In my first pregnancy I had a relatively straight forward time, apart from crippling heartburn, and was later diagnosed with Obstetric Cholestasis, a serious complication which can lead to stillbirth, so was immediately hurled up the ladder into the high risk bracket. This time around, I've still been lucky to enjoy a straightforward pregnancy, but the greatest news is that despite being at increased risk of contracting Obstetric Cholestasis as a previous sufferer - I don't have the illness this time around. I've also not experienced the heartburn in this pregnancy, though had some mild acid reflux, predominantly in the second trimester. This time however, my feet and ankles have swollen to unrecognizable proportions - something I didn't experience at all when I carried Seb, and I've also suffered throughout with low blood pressure, which has given rise to the occasional bout of dizziness and light headedness. When people ask, I tend to say that both pregnancies have been similar, but actually, there have been very different physical symptoms. Now in my last two weeks I'm finding myself in regular discomfort as Baby is well and truly lodged against my cervix - banging away against the door from the inside (ouch!) - where Seb refused to engage at all until labour! It will be interesting to see how similarly my birth progresses this time. Being pregnant and in love is pretty amazing - My last pregnancy was a mess, relationship wise. I spent a majority of my pregnancy single, as in, very single, and was still dating (kind of unintentionally) at seven months. This time around, I've been lucky enough to experience pregnancy within an incredibly loving, secure and happy relationship. I didn't realise that I could actually be this loved up and close to someone. The NHS aren't necessarily right - I love the NHS, I'm so so thankful to be here in the UK where my family and I have access to free, quality medical care. However, my experiences of this pregnancy have made me realise how vital it is to question NHS advice where pregnancy and childbirth are concerned, for a single reason, and that's that a majority of pregnancies should not be treated as medical events. It's a shame that pregnancy and childbirth have suddenly (I say suddenly in regards the grand scheme of history) become the interest of doctors and hospitals, when in theory, there is no reason for most pregnant women to go near either. It's a difficult one because I don't want the NHS to step out of antenatal and postnatal care entirely - without their involvement, families wouldn't have access to the sort of routine tests and observations which are able to identify, and prescribe care for, those minority of pregnancies that need medical supervision. This saves many lives. As a low-risk pregnancy though, I've found some elements of NHS involvement to be invasive and unnecessarily distressing. I'm glad that I was informed enough, and interested enough, in my options and alternatives to say no to protocol, ask why certain "routine treatment" was being suggested, and arm myself with evidence, asking myself "how much of this is about risk to me and my baby, and how much is about hospital routine?" Childbirth can be enjoyable - Even though, despite my Obstetric Cholestasis, my birth experience with Seb was very straight forward, I dreaded, rather than looked forward to it, and saw it as the unavoidable means by which I would eventually be rewarded with a baby. In this pregnancy I've been able to learn more about how I can actually enjoy giving birth, and how I can make it a pleasant experience. I'd recommend reading some Sheila Kitzinger for similar messages. Doulas! If I was aware of doulas in my last pregnancy, I probably dismissed them as a hippy thing. I became keen to hire a doula in this pregnancy, just because it made sense alongside my homebirth plans, but they're incredibly useful in a hospital setting too. Basically, we didn't have enough people to cover all necessary bases for my homebirth. Thank goodness for my friend Flo, who is a doula, for pointing me in the direction of Doula UK, who can help put a family in touch with a doula. I also learned about the Doula UK Access Fund which, whilst not something I'm using, allows low income families to get free access to vital doula services. I've learned so much about the benefits of hiring a doula, and can't stress enough what a difference my doula, Marika, has made to my pregnancy experience, I'm genuinely delighted that she'll (hopefully) be at Baby's birth. 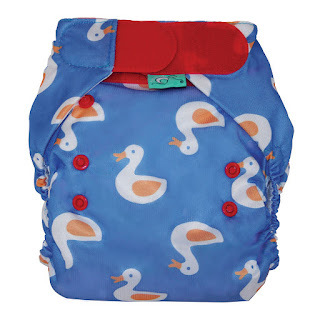 Reusable (cloth) nappies are a thing - Seb only ever wore disposable nappies, thankfully my Mum was kind enough to kit us out with so many newborn nappies that he'd actually moved in to a larger size before I was able to use them all! I assumed that the use of cloth nappies had disappeared with the arrival of the disposable, and that Pampers and co had largely replaced the practice of terry toweling. How wrong I was! The cloth nappy movement is still going strong, there are some amazing brands out there, and Boyfriend and I have been totally won over to using reusable nappies from Day 1. Who'd have thunk it? One of my favourite nappies, the ducks collab between Scottish nappy manufacturers TotsBots and Cornish organic children's wear designers, Frugi. 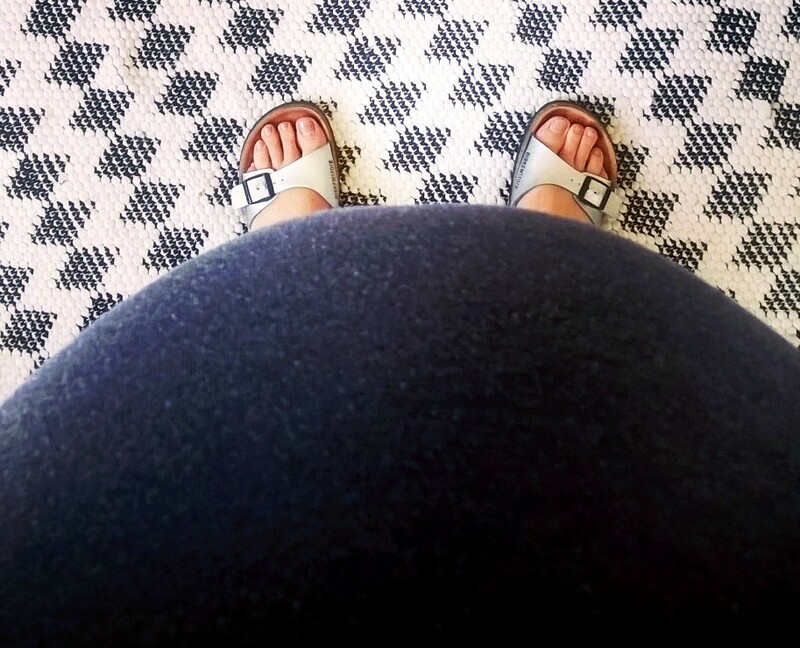 Having a great pregnancy doesn't mean you're insensitive to those who don't - As I hinted, my previous pregnancy ended up being less than perfect when I contracted Obstetric Cholestasis, which presented a high risk of death or permanent damage to my baby. I gave birth in a consultant lead ward, where I was treated as a very high risk patient, and I relied on a cocktail of drugs to get me through labour, including pethedine, one of the only labour pain relief options which crosses over the placenta and effectively "drugs" your newborn baby. The fact that I'm interested in "natural childbirth" this time around is born from a place of previous experience of quite the opposite. What I've discovered though, through my experiences of others both online and in person, is that people can take your experience or preferences, and find them upsetting in comparison to their own. I didn't know any other pregnant people when I was carrying Seb, so I don't know how I'd have felt if I were around someone planning a home/hypno/water birth and really thriving off of their own pregnancy, when I was preparing for the possibility that my baby may not survive birth. However, I have learned now, at least, as someone with an overwhelmingly positive outlook towards pregnancy and childbirth, that had I found myself in such a situation, the other person wouldn't have necessarily been dismissing my experience in favour of their own. I've been told by someone experiencing a difficult pregnancy that my attitudes towards positive birth act as a trigger for their prenatal anxiety, which is a real shame, but I've been able to remind myself that that isn't my fault. That just by believing that pregnancy and childbirth are wonderful, I'm not being unkind, insensitive, or dismissive of those whose reality is different. 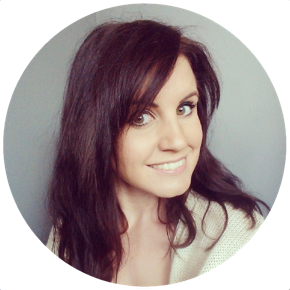 Sharing Pregnancy (comparing my experiences of being single and pregnant and pregnant in a relationship) can be found here. How Pregnancy Changed My Relationship (which looked closer at how my relationship has changed over the last 9 months) can be found here. Why a Doula? (explains why I chose to hire a doula, with more info about Doula UK and the Doula UK access fund) can be found here. Is a Great Pregnancy Becoming a Social Taboo? (in which I discuss feeling uncomfortable about sharing my positivity about pregnancy for fear of being isolated by those with negative experiences) can be found here.